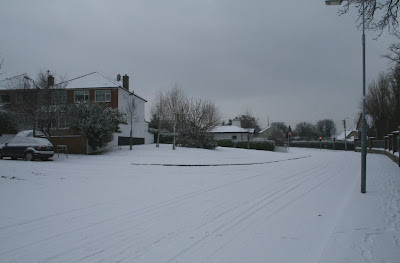 It snowed this morning in South Dublin, not much, about 2cm. It was a pleasant wintry feel - I'm guessing the temperature was around zero. Roma and I walked to the Pharmacy where I swept away some of the snow from the front pathway. One guy came up to me and told me that there had been a solicitor on the RTÉ News last evening stating that if you clear away the path outside your home or business you risk being sued if someone falls and hurts themselves. Apparently if you do NOT clear the pathways you cannot be sued. The guy told me it that the law was the other way around in America. WTF kind of country is it where you can be sued like this? Hospital A&Es are reporting a big increase in people presenting with injuries sustained in falls. 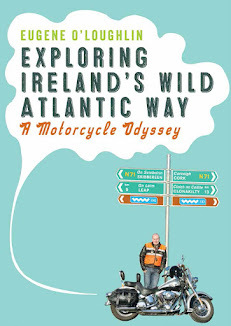 I had a nasty fall yesterday on at the entrance to Salthill DART station where there is a slight slope - I was walking along (carefully I thought) and in an instant I was on my arse. A kind young fella helped me up. My elbow is a bit sore, but that's it. No thoughts of suing CIÉ. More snow on the way tomorrow!